Welcome to the Clanton Police Department's website. We hope that the information you find here will be helpful, and will provide you with a better understanding of our department, and how the department serves the residents of the City of Clanton. 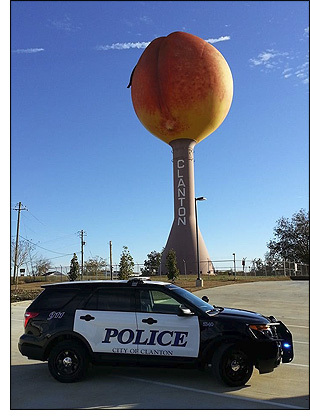 A public safety leader in the State of Alabama, the Clanton Police Department successfully combats crime, reduces the fear of crime, and contributes to a high quality of life in the community. We strive to inform and educate the community regarding crime and other sensitive issues, and keep residents informed of public safety issues. We realize that our ability to be effective is dependent on good communication with our citizens and a cooperative approach to problem solving. We continue to explore new ways to partner with our residents, business owners, and school communities in an effort to improve the quality of life in the City of Clanton. Thank you for visiting our web site. The men and women of the police department are proud of our department and of our community and we look forward to working closely with all our residents to seek new and creative and more efficient ways to address issues of community safety and security. Please contact us if you have concerns in your community.